Why do missionaries take such embarrassing photos? I flew into Freetown last week. As I was escorted from the arrivals gate I found a sea of humanity outside the airport calling out to arriving passengers for the exchange of money into the local currency or as taxis. Thankfully, someone was waiting for me and he took me straight to the place where I needed to pay for my fares to go across to the mainland using the “sea coach”. As I sat in the small bus that looked like its retirement from active service was long overdue the bags of other passengers were being heaped next to me until I felt as if my life was in danger. I got a picture of the heap of bags towering over my head. I thought to myself, “This is certainly worth posting on Facebook as I recount my travel tales”. When the bus was full, we started out for the “sea coach” port. Within a few minutes, we left the tarred road and the bus went through a bush path with our bones rattling at every pothole we hit because the rickety bus’ shock absorbers were finished. As I was about to pull out my camera again to capture something of this humorous adventure for my Facebook update a thought struck me: “Imagine how my hosts will feel if they see my Facebook updates exposing their primitive transport and roads to the whole world. Will they be happy with me? I do not think so. Conrad, do to others as you would have them do to you.” So, I never took those shots that would have earned me quite a few “likes”. As we crossed the water channel from the airport to the mainland, my mind began to race. I thought to myself, “Could this be why many missionaries end up taking and showing photos of only the primitive side of life in Africa?” The photos show what will be interesting to the people back home! My mind went to my overseas visits. I carry my camera everywhere I go and I have been to all the continents on the planet, except the Antarctica—if you consider it a continent. What is it that causes me to whip out my camera and take shots for Facebook or for my own family’s consumption? It is almost always situations and scenery that are not common back home. In North America I want to capture the BIG things—big men and women (referred to as being obese), tall buildings, wide roads with myriads of lanes, shops with almost every conceivable item under one roof, etc. In South America I want to take photos of the simplicity of life that I see there—small beautiful homes, half-dressed men and women walking around in slippers, children playing football everywhere, beautiful graffiti, etc. In Asia I want to capture Hindu and Moslem culture—well dressed and sometimes over-dressed women, cows freely roaming the streets in the city centre, elegant mosques and temples, etc. When others come to Africa and take photos of what is not common back home, they end up producing the stereotypes that cause the world to think that we all live with lions, giraffes, and elephants in our back yards and in pre-historic mud huts. I thought, “Could what motivates me to take pictures of things that will surprise my own people back home also be what motivates missionaries to take those embarrassing photos in Africa?” An American missionary will not want to take photos of themselves standing inside our state-of-the-art shopping malls. People back home may think the photo was taken inside Walmart, Best Buy or MacDonalds down the street. The temptation is to take a photo inside the most poverty stricken compound. 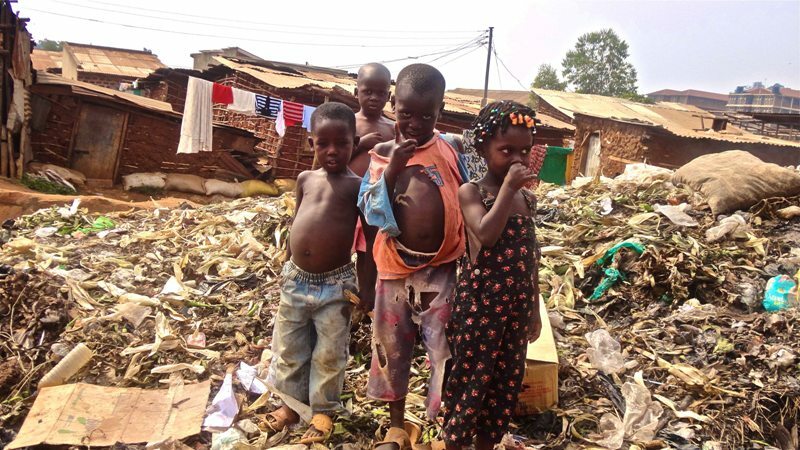 Photos showing children with flies and mucus on their faces and with dirty torn clothes, standing next to a heap of stinking garbage…those are the “perfect” pictures to produce a “Wow!” back home. That is certainly not an everyday sight in the Western World. I guess whereas the motive I have may be the same as that of the missionaries, the reaction will be different when people whose homeland is represented consistently in negative extremes see the presentation. I once suffered that embarrassment. Some years ago I saw a presentation of Africa at a church in the USA that made it look like I had come from wretched poverty before getting on the airplane to cross the Atlantic. I do not recall all that I saw but slide after slide showed women selling food in the open market with house flies on them, children who looked like they had not bathed for ages and were terribly malnourished, congested hospital wards with patients sleeping on the floors, roads that were more of potholes than tar, Christian congregations meeting under trees with mud huts in the background, etc. I waited for slides that would show the other side of Africa but they never came up. Understandably, the missionary was trying to show how needy Africa was so that his fellow Americans could be moved to give to his work and he probably achieved it. As an African in attendance I felt embarrassingly and grossly misrepresented. Where does one draw the balance? That is a very difficult question. In the world of estates and property they say that the key is “location, location, location.” With respect to this subject the key is “context, context, context.” When missionaries return home on assignment their task will most likely not be that of showing off how beautiful Africa is. They are not marketing our tourism potential in order to bring more tourists to Africa. Neither do they expect a “Mbewe”—born and bred in Africa—with skin-deep sensitivity levels to show up in the meetings. So, they tailor-make their presentation to show in the shortest possible time the needs in Africa so that those who may never cross the Atlantic can see and give and pray. That is the context. Those of us who are of African origin and find ourselves in such meetings need sufficient maturity not to over-react. We need to keep in mind why the presentation is skewed towards very embarrassing data. Facebook is another context altogether. There is need for greater sensitivity when posting on the Internet and especially in social media because the presentation is not to a localised group. Although we often choose the “friends” who see our posts, those posts are often shared beyond our initial circle of “friends” and can end up upsetting the feelings of the local people who are all being painted with the same brush. That was why I stopped in my tracks last week in Freetown, Sierra Leone. I realised that my hosts would see my postings and get hurt. It is vital that we are more sensitive and balanced when posting photos on the Internet and commenting on them. Some comments add insult to injury. The photos are bad enough. The comments—which sometimes can be very sarcastic—suggest that the people being served by the missionary are stupid and need to be helped to think. This must be avoided at all costs. The issue of context, and the sensitivity and understanding of the people back home, was once illustrated about 12 years ago when I took some American pastors with me to Lusaka’s Leopard’s Hill cemetery. As they saw the number of fresh graves, they were deeply affected. One of them asked if he could take some photos. He said, “Conrad, people back home need to see this. I never realised it was this bad!” I told him that he could do so as long as he was discreet. Well, my caution was too little too late. He was spotted and a few angry mourners came over to the car demanding that my guest deletes any photos he had taken. In defence of my friend, I said that the “white men” I was with were pastors and were taking these pictures to go and show their congregations back home in America so that they donate money to our church hospitals. That way we can have medicines there to prevent more of us from dying. One of them quickly said, “Oh, so they are pastors? That’s okay. We thought they were journalists who just want to embarrass us. We do not want to see ourselves in a report on television saying that we are dying like flies. Tell them to convince their churches quickly because things are bad here.” With those words, the men were appeased and they left. There you are: Context! Context! Context! A few days ago I stood by my study window and saw our youngest daughter, Mwape, standing helplessly as she saw her pregnant dog, Chelsea, breathe her last. Mwape had taken a day off from work because she was not feeling well herself. Little did she know that it was going to be her last day with her dog. It was evident that the exceptionally territorial dog had been poisoned on Sunday while we were at church. (Thieves often do this when they want to steal and find your dog too ferocious). The whole day Monday Chelsea was not her usual active self but we all thought that perhaps she was getting close to delivering her puppies. Tuesday morning she was gone. Mwape had tried her best to save Chelsea’s life. She brought in a vet who gave the dog all the attention and medication possible. The vet stuck around all morning. Chelsea slightly revived and we all became hopeful but it was only for a few moments. The poison had already done too much damage. Chelsea died. As I looked at Mwape standing motionless and teary-eyed halfway between the lifeless body of Chelsea and me, I walked over to her and hugged her. What more could a dad do? I shared with her my own pain when a hit-and-run car killed my dog when I was only nine years old. That was forty-five years ago, but retelling Mwape the events of that day revived those painful emotions. My dog’s name was Cary and I loved him like a brother. 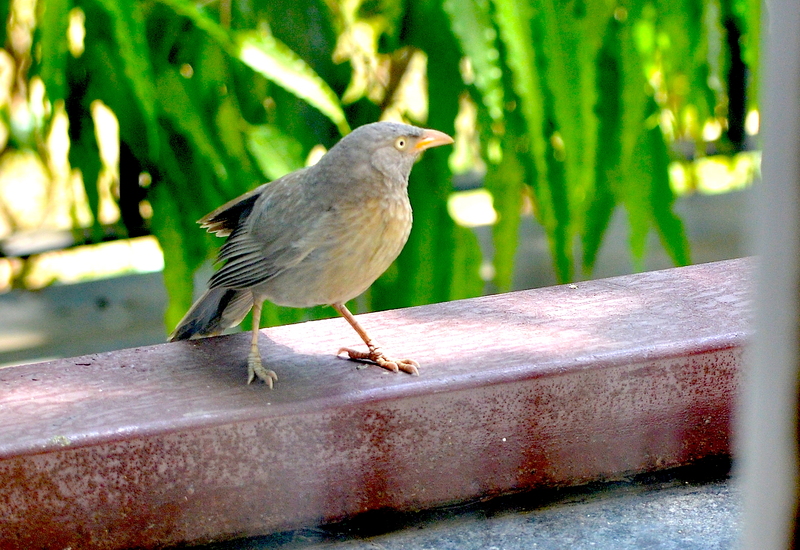 I always looked forward to his warm and enthusiastic welcome whenever I returned from school. I would only leave him when I was called in for lunch. One Saturday morning, I woke up and rushed outside only to find Cary lying on the driveway dying. I sat down at the edge of the veranda and cried my heart out as I looked at my childhood companion breathing his last. I stroked his fur until he breathed his last. Time stood still. Many thoughts went through my young mind that day. As the events of forty-fives years ago caused my chest to heave, I realised that I was standing with Mwape about a metre from the exact spot where I sat as a nine-year old boy mourning my first major loss in life. The body of Mwape’s dead Chelsea was now lying in the same driveway that my Cary’s lifeless body lay in 1971. The one major difference, though, was that I was nine years old while Mwape is now in her early twenties. Another was that whereas I could take a moment to hug my mourning daughter, I do not remember anyone hugging me. Perhaps they did. All I recall is that all the big people were busy preparing to dispose of Cary’s body. I recall dad, uncle, and our domestic servant (“ba Lazalo”) getting a spade and a sack. They put Cary’s body in the sack and carried it to its last resting place. I followed. As I sat on the grass nearby, I watched them with teary eyes as they dug a hole in the ground, let down the sack, and covered it with soil. “Good-bye, Cary,” I cried as we headed back home. When my family returned to occupy my childhood home in the year 2012, the first place I visited was the place where Cary was buried. 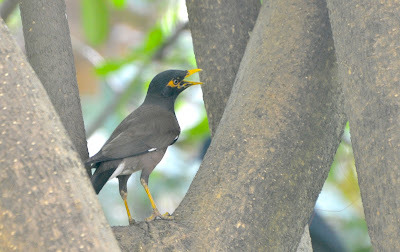 It was about 300 metres from our home. In 1971 it was the edge of a forest but it is now a built up area. 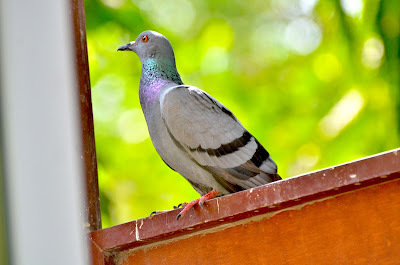 I stood at the spot and let the emotions of those days touch my heart afresh. It is amazing how much pets mean to us. They are animals but they are not just animals. There is a real bond that takes places between us humans and those animals. In a very strange way, they love us and we love them too. We look forward to being with them and they also look forward to being with us everyday. Amazing! And I think this is true of dogs more than any other animal. No wonder they have gained the title, “Man’s best friend.” I think cats are not as attached to individuals as dogs are, but I am willing to be corrected. Dogs will fight to protect their owner and their owner’s territory, whereas cats will get onto the laps of anyone who gives them the chance. Is there any biblical example of this attachment between humans and animals? I can think of at least one. Here it is (2 Samuel 12:1-6): “And the LORD sent Nathan to David. He came to him and said to him, ‘There were two men in a certain city, the one rich and the other poor. 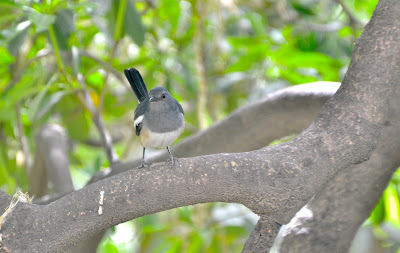 The rich man had very many flocks and herds, but the poor man had nothing but one little ewe lamb, which he had bought. The Bible says, “Then David’s anger was greatly kindled against the man, and he said to Nathan, ‘As the LORD lives, the man who has done this deserves to die, and he shall restore the lamb fourfold, because he did this thing, and because he had no pity.’” Why did David respond with such anger? Could it be that he understood the emotional attachment between that man and his ewe lamb? Perhaps. 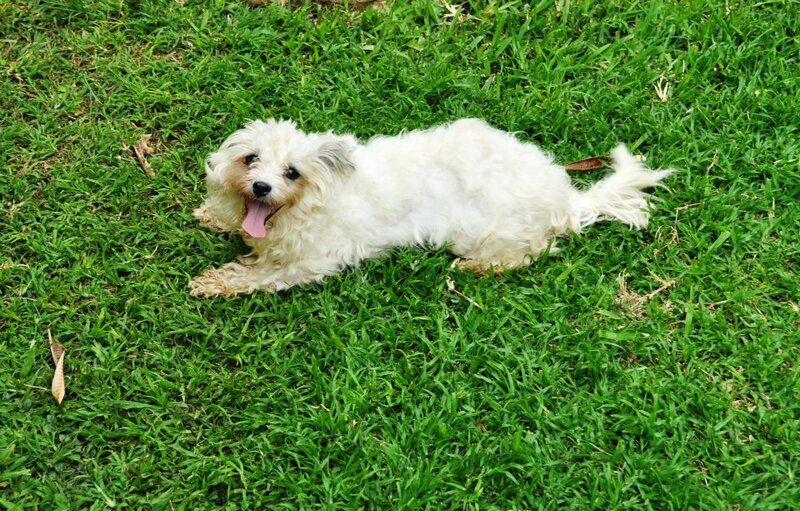 I am sure our daughter, Mwape, feels like David towards the thieves that poisoned her dog a few days ago. I certainly felt that rush of anger back then as a little nine-year old boy. How we can get so attached to pets is yet another puzzle we will only unravel when we are seated by the side of Jesus in eternity. Come, Lord Jesus. Come! 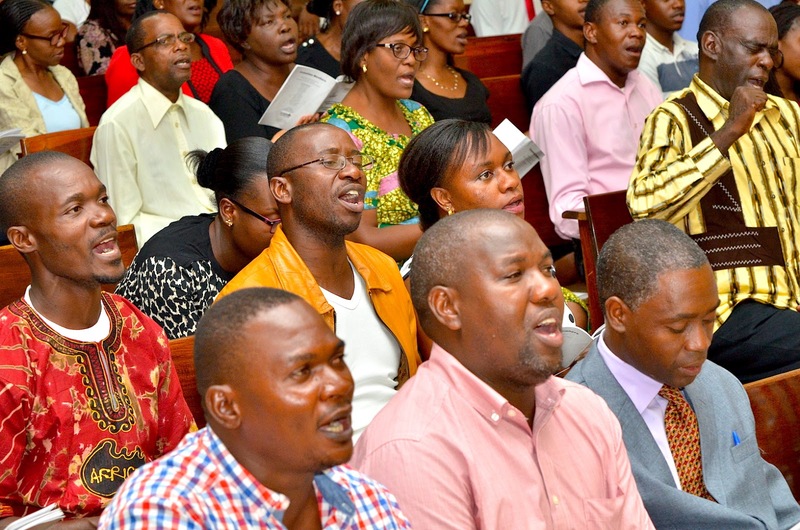 It is a well-known fact that state governments in Africa are deciding that enough is enough and are moving in to arrest the rot taking places largely in Charismatic churches. The stench cannot be ignored any more. This has already begun to happen in Kenya under President Uhuru Kenyatta. South Africa and Zambia are also preparing legislation. It will not be long before other African nations join in. Why are national governments beginning to do this? It is because their citizens have been sexually raped and financially defrauded by men of the cloth with impunity and they can no longer look the other way. Sadly, this is also because they have noted with dismay that the church is doing nothing to arrest the trend. I have my ears to the ground. After all, I live in Africa. I am hearing the church cry foul to the intervention of governments. 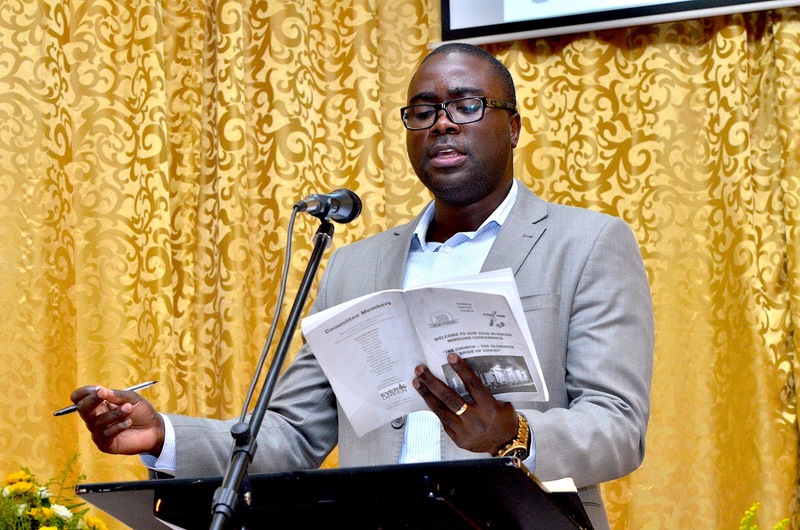 The cry is that this is a form of persecution by the state because the church is expressing its misgivings about injustices being done by state machinery. To some extent this is true. However, the question still begs to be answered. What is the church—especially the Charismatic church—doing to stop the rot that is taking place within its own ranks? I have my ears to the ground and can safely say that there is precious little being done about it. That is very sad. Is it not obvious that the fountain that is gushing out this stream of imposters is the failure in Charismatic circles to regulate who should become a pastor? Pastors are appointing themselves and conferring on themselves titles like “apostle” or “prophet”. Anyone can put up a sign saying, “Signs and Wonders Church International by Prophet John Banda” and, hey presto, a church is born! Think about this for a moment. To be a president of a country, you must belong to a political party. To stand in national elections, a certain number of people should nominate you and you must pay a hefty amount of money. You must also undergo strict screening to ensure your character is impeccable. Then you must present yourself for elections. If you lose you cannot be a president. If you contravene the law you can be impeached by your party or by a court of law. To be a doctor or an architect or a lawyer you have to go to school in that field for no less than four to five years. You then have to undergo internship under a seasoned individual in that career. You must also go through licensing examinations. If your mentor does not endorse you or you fail your licensing examinations you cannot be allowed to practice in that career. If you are ever guilty of professional misconduct your licence can be revoked. Why are presidents and doctors and architects and lawyers subjected to such stringent measures? It is because of the many human lives that are likely to be destroyed if you have the wrong character in such practices. The president has the army and the police at his disposal. Imagine what he can do if he is the wrong character. Doctors look after our lives, architects design our shelters, and lawyers protect our freedoms. They can mess you up if they are charlatans. Let us now look at pastors who look after the eternal well being of our souls. 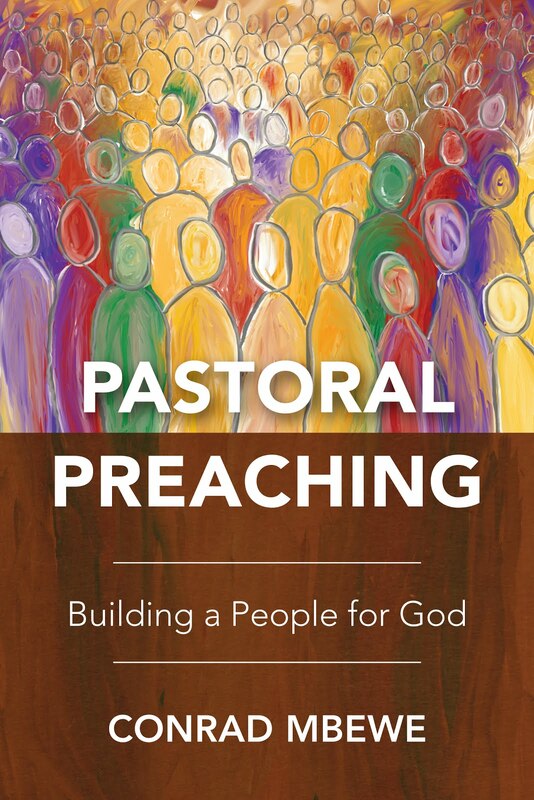 What does it take to be a pastor, especially of a Charismatic church? Nothing! There is no school that you need to go to. There is no official mentoring. There are no exams. All you need is a bit of eloquence, swag, and spring in your step. If you can throw in an American or Nigerian accent that will only be a bonus. Thus we have individuals who have been total failures in every other area of life who are now making a living as Charismatic pastors. Some of them impregnated women outside marriage even before they became men of the cloth. They are already moral failures and yet they are now in pulpits teaching us how to live. How are these charlatans managing to escape the dragnet despite having such a checkered past? It is simply by claiming that God spoke to them and told them to do what they are now doing. In Charismatic circles that claim seals the mouths of anyone who tries to prevent such an ignoble character proceeding to pastor a church. Who are you to prevent what God is doing in the life of his anointed one? The only way we are going to address this flood of evil men and imposters filling the pulpits of the land is by a return to the Bible. What does the Bible say? For instance, how did the apostle Paul become a leader in the church? God spoke to him on the road to Damascus, but was that all? No, Paul himself states that he had to bring his credentials to the church leaders for them to give him the right hand of fellowship as a fellow minister of the gospel (see Galatians 2:1-9). How has it been across history? Exactly the same! Pastors did not appoint themselves. They had to be trained under recognisable tutors. They had to undergo stringent exams on matters of doctrine. They had to undergo character assessments. Only when they had passed all these were they allowed to take “holy orders”. All this was being done to preserve the souls of the people who they would be overseeing. By claiming that God still speaks to us as individuals independent of Scripture, we have thrown all this away and now quacks are running and ruining churches. We have discarded the means to hem them in. How you go in also determines how you go out. If other people appoint a pastor, when he messes up those people will defrock him. But if a pastor has appointed himself then the church becomes his personal possession. He is not accountable to anyone. He is untouchable. He can commit adultery and even divorce his legitimate wife in order to marry a sweet sixteen he admires in the pew and he still remains the prophet of the church. Who can dare to kick him out? He will tell you that if you do not want him you should be the one to go. This is his church! Let us face it. We have failed to address this problem. If the state does not come in, this growing monster will consume the little that is left of the reputation of the church as a safe haven. It is no use crying out against the government for overstepping its jurisdiction if we ourselves who are the church are not addressing this stinking elephant in the room. Magistrates and judges are tired of handling cases of sexual defilement and financial fraud by apostles and prophets, which we are not addressing because we dare not “touch the Lord’s anointed”. Every human being must be accountable to both God in heaven and humans on earth. Pastoral self-appointments must stop. If the church will not regulate who is allowed to become a pastor then let the state do it. For heaven’s sake, someone had better do it before the church becomes a laughing stock on earth and in hell! The final day of our 30th anniversary celebrations and commemorative meetings was here. 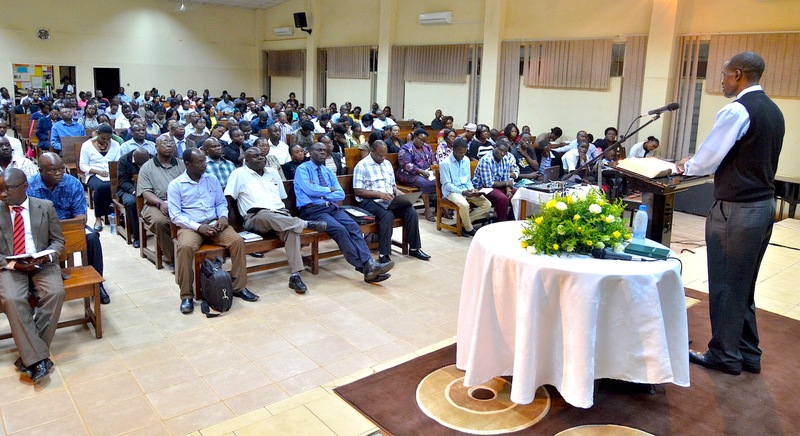 The meeting began at 09.00 hours with a Q&A session with all our missionaries lined up in front of us as members asked them very pointed questions about our role in their lives and their work out there in the field. Mr George Sitali moderated this event. Then at 10.30 hours our normal worship service began, led by Mr Charles Bota. Apart from the songs and hymns that we sang, we enjoyed one of the most animated songs I have ever heard from our music ministry. It was very well sung. Then during the collection of the offering, Mr Logan Nyasulu took us through a summary of the last seven-year period of the history of KBC (2010 to 2016). This comprised the period when the youth camps and conferences and the pastoral internship program grew by leaps and bounds. 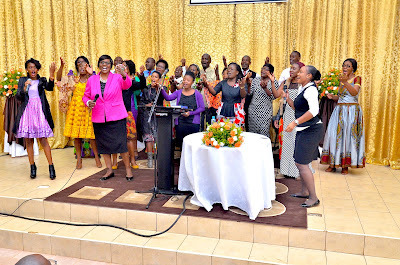 It was also the period when KBC called its second pastor, Chipita Sibale, who brought the number of current serving pastors at KBC to two. 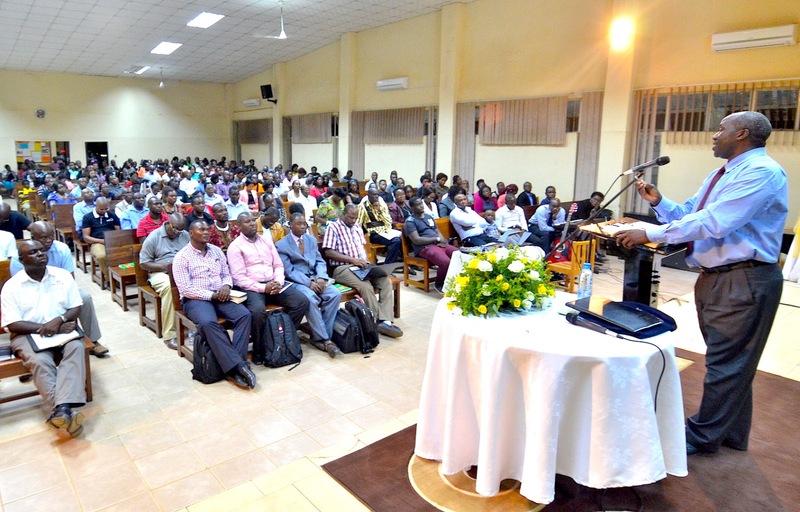 It was also in this period that the African Christian University project started together with KBC’s campus outreach ministry. The report ended by stating that KBC now had a payroll of 51 individuals and the Lord continued to supply the funds to remunerate all of them. After the historical summary, Logan interviewed Mrs Monde Mulunga who recalled how an invitation from a friend caused her to visit KBC for the first time in the Kabwata Community Hall. She said after that visit she never went back to her previous church and has been with us since. She also spoke about a series that Pastor Sibale was recently preaching on the life of David that really ministered to her after her eye surgery and her car accident. She urged the members to be grateful to God for what he has done among us and to faithfully serve him in the church. 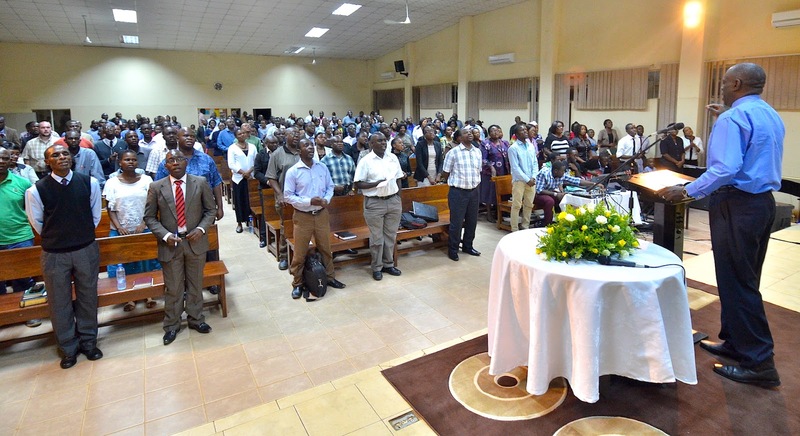 It is on this final day of the conference that KBC members take a collection (and pledges) towards a missions project or projects that the elders choose. As stated in earlier blogs, our goal was to raise K150,000 towards the construction of a “majestic entryway” to our ACU Chisamba campus. At this point the collection was taken. 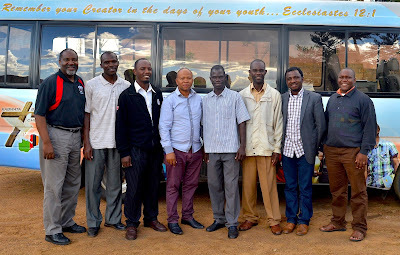 Mr George Sitali invited the current missionaries together with the elect missionary (Emmanuel Komba) to come forward and be prayed for them. 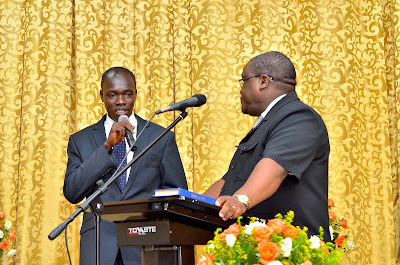 After he prayed for them, we went into the ordination of Emmanuel Komba as our latest missionary to Sierra Leone. Mr Sitali read the charge to Emmanuel and then invited the rest of the elders to come and lay hands on Emmanuel. What a glorious occasion this was! What we will be redeemed from. I stated that we would be redeemed from the curse of the fall. To begin with it will be all that everyone goes through—whether saved or not. Then added to this is the persecution that the bride of Christ suffers from the non-believers. Lastly, it was the remaining or indwelling sin in our hearts that often leaves us in tears and sorrow. We long for these sources of misery to come to an end perhaps more than a slave longs to be liberated from his chains and enslavement. When we shall be redeemed. I stated that we would be redeemed at the second coming of Christ. That is “the day of our redemption” mentioned in Ephesians 4:30. On that occasion, we will be changed in the twinkling of an eye and our earthly bodies will become like his heavenly body. The effect of the fall will be over. The persecution of the world will also be over. We will be taken by Jesus and will forever be with him in glory. How life will be after that redemption. I stated that the life after our redemption beggars our imagination. We will live a life that is totally free from sin. External sin will be no more because all sinners will be consigned to hell. Internal sin will be no more because our very natures will be totally transformed into the absolute holiness. We will be reunited with our lost loved one in Christ. We will worship God with an unsinning heart. And above all, we will see our Saviour face to face. We spend the next hour in a fellowship meal. How the ladies managed to feed the 300 to 400 people is beyond me but they fed us well. After lunch we gathered for what is called “the grand announcement”. This is always the last event at our missions conferences where the funds collected are announced. For me, as the church pastor, I am always anxious while I wait for the deacons to tell me how much the people of God have given. Yesterday was no exception. 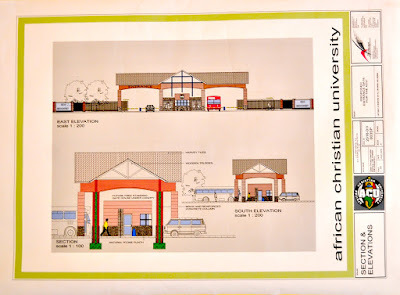 How much have KBC members given or pledged to give towards the ACU entryway? I announced the amount. It was K151, 086. I was relieved and full of thanksgiving to God for the generosity of his people. Dr Ken Turnbull came forward to respond to this. His tears told us what was in his heart. It was an emotional moment for all of us. He prayed for KBC and on that note we were all dismissed! Our 30th anniversary celebrations and commemorative meetings entered the fourth day yesterday. The meeting began with a luncheon. The attendance looked a little lower than usual in the auditorium but this was because the children had a separate conference where they were being taught about missions at their own level. 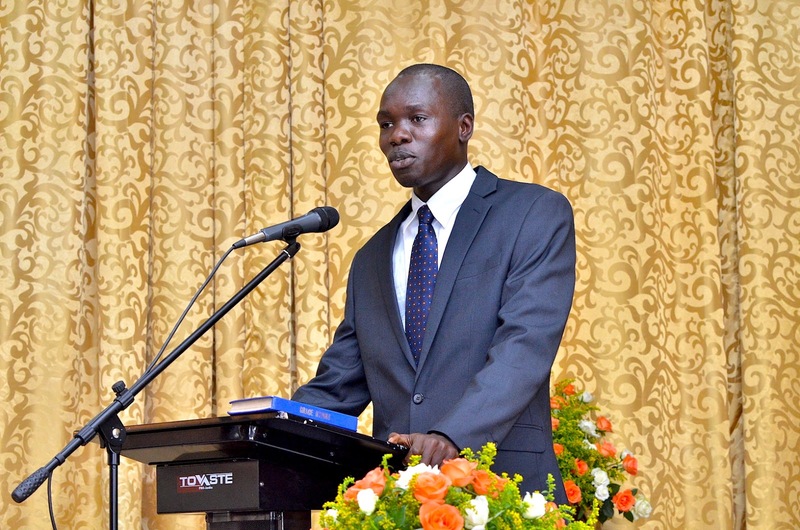 Bobbline Cheembela, one of the church deacons, led the main meeting. We again began the afternoon with presentations from our missionaries. 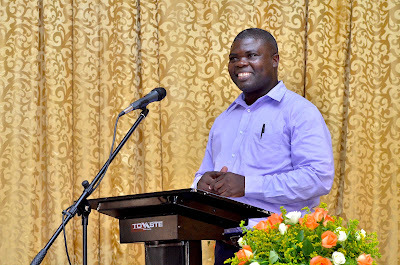 The first presentation was made by Pastor Kenneth Siwale, who was ordained in 2013 to take over the planting a church in Sinda, in the Eastern Province of Zambia. He spoke about the progress in the membership and in the building of their pastor’s house. He was grateful for the boreholes that were sunk last year with the help of KBC in both Sinda and Kaluba. 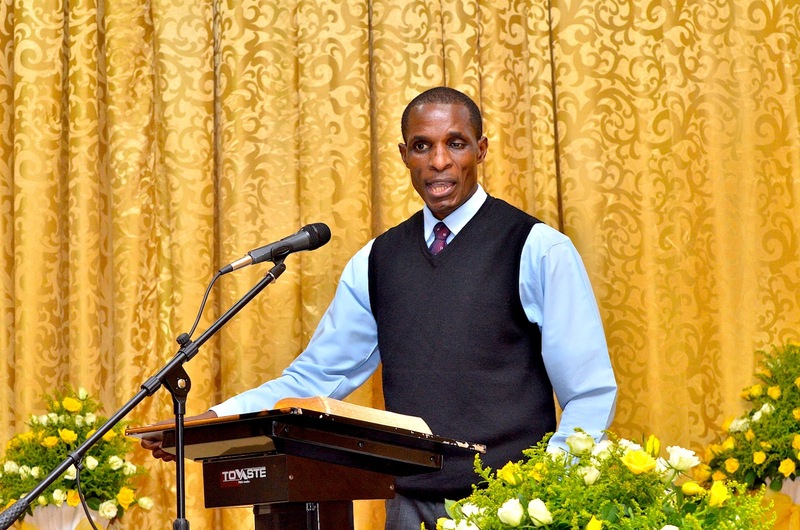 The second missions presentation was made by Pastor Kasango Kayombo, who was ordained as a missionary in 2012 after being a deacon at KBC for a while. He was sent to plant a church in the Ibex Hill area east of Lusaka. He spoke about their various outreach efforts in the Ibex Hill area and the number of people that have become consistent in attendance. He asked for prayer for the acquisition of land for them to put up a church building. 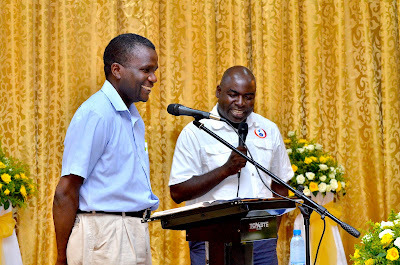 The third missions presentation was made by Pastor Manasseh Kaonga, who was ordained as a missionary in 2010 and was sent to plant a church in Kapiri Mposhi. 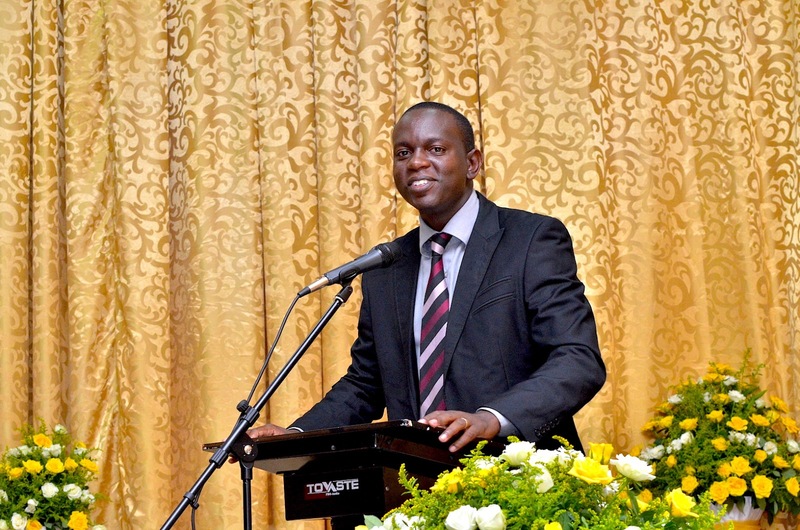 Manasseh spoke of the increase in church attendance and one or two men he was now discipling for leadership in the church. He also reported that they had begun to construct the foundation of their church building. Bethel Baptist Church in Kabwe was now sending a team of church members to help them with ministry over weekends. 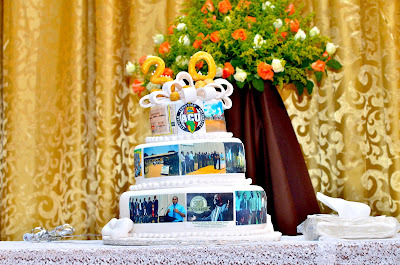 “Yours truly” was asked to cut the 30th anniversary cake with Mrs Mbewe. It was a total surprise. I was not dressed for the occasion. Mrs Mbewe was in even greater shock and after a lot of hesitation finally opted to come with one of our daughters, Mwila. As you will see from the photo, the cake was truly a work of art. 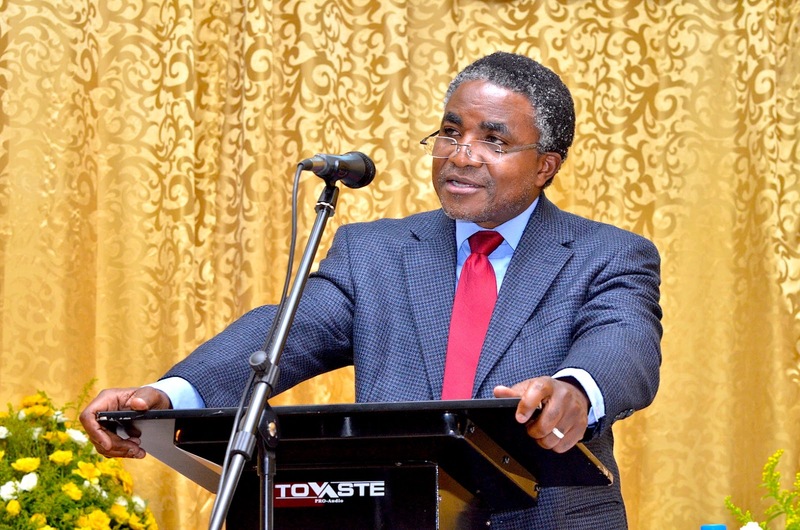 Logan Nyasulu read the fourth seven-year period of the history of KBC (1993 to 2009). This comprised the period when KBC went through a period of unprecedented growth and at the same time its most difficult period due to the disintegration of its eldership. It was also the same time when KBC sent out its first international missionary and started its play park outreach programme. The church also started its missions conferences. After the historical summary, Logan interviewed Mrs Gladys Mposha who clocked 20 years as a member of KBC this year. 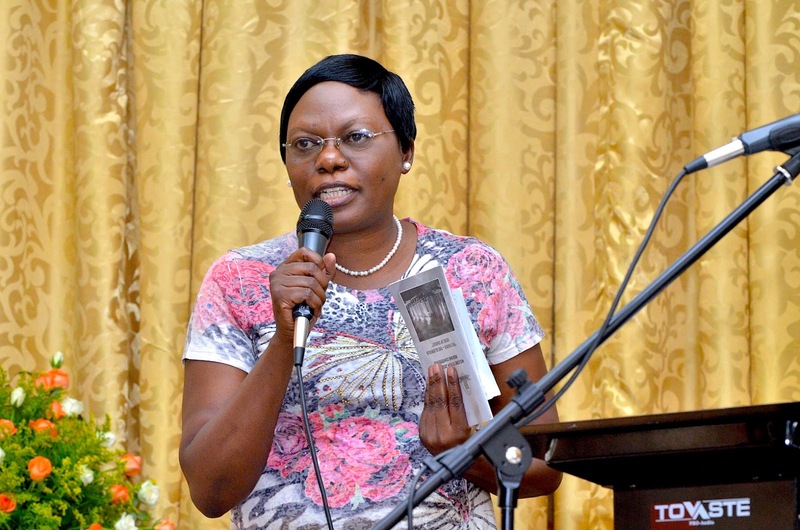 She spoke about her experience of the elders at KBC and the church’s missions work. 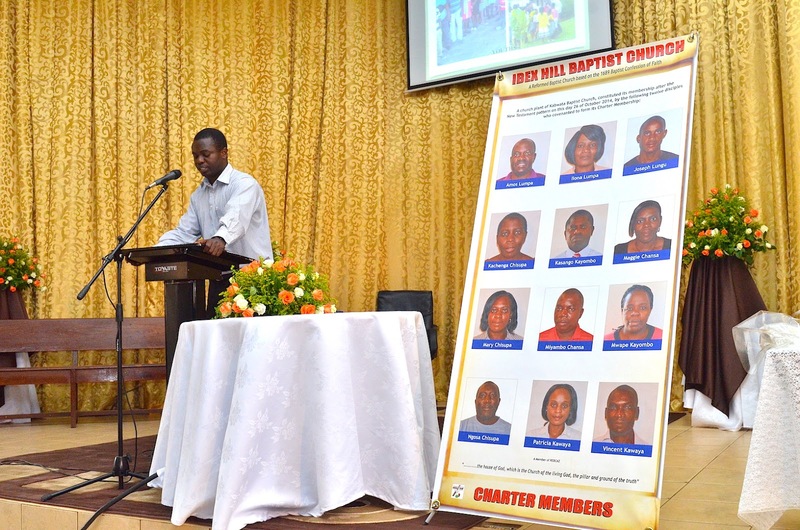 She also spoke about the sobering effect of the multiple deaths that took place in the church in 2008. Logan then interviewed two of the church elders, Mr Charles Bota and Pastor Chipita Sibale. 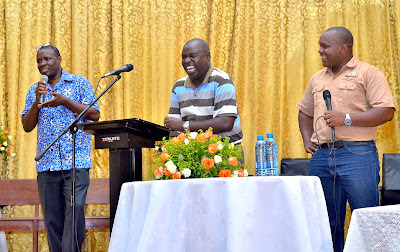 They spoke of how they found themselves at KBC and how it has been for them working among their fellow elders in the midst of their other demands (for Mr Bota) and young age (for Pastor Sibale). Pastor Makashinyi began by asserting that our sacrifice and suffering for Christ is a normal and expected part of the church’s life on earth for Christ (v.12). Peter urged the people of God not to be surprised about the suffering that had come upon them. He also urged them to rejoice in their suffering (13-14). This is humanly impossible but the grace of God enables his people to do this. God is sovereign over all the circumstances of our lives, including all the details of our suffering. 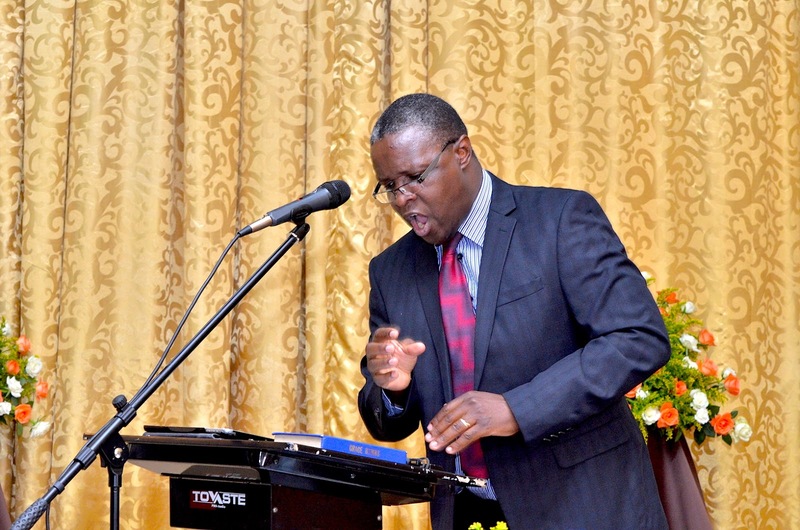 Pastor Makashinyi emphasised that suffering leads us to deeper fellowship with the Lord Jesus Christ. False believers fall by the wayside when suffering comes, as Jesus so clearly taught in the Parable of the Sower. Suffering will give us a deeper level of rejoicing at the second coming of Christ. Suffering will lead us to a deeper present experience of the Holy Spirit. As Christians we should entrust ourselves to God in our sufferings (v.19) the way one entrusts his valuables to another for safekeeping. 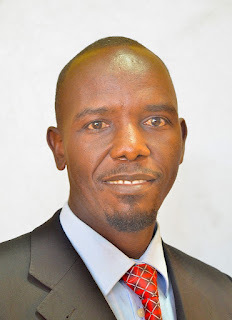 Pastor Makshinyi insisted that suffering is our common lot. We must be prepared to lose our comfort zones, safety, security, and convenience. To think that God will only send us where it is safe to serve him is unbiblical. Risk and danger are part of the package of Christian service. 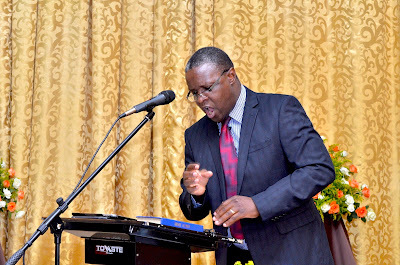 Pastor Makashinyi ended by quoting Adoniram Judson’s letter to the father of the lady he wanted to marry. The letter clearly spoke of suffering and sacrifice. Oh for such spirituality again! Our 30th anniversary celebrations and commemorative meetings entered the third day last night. Attendance continued to grow. 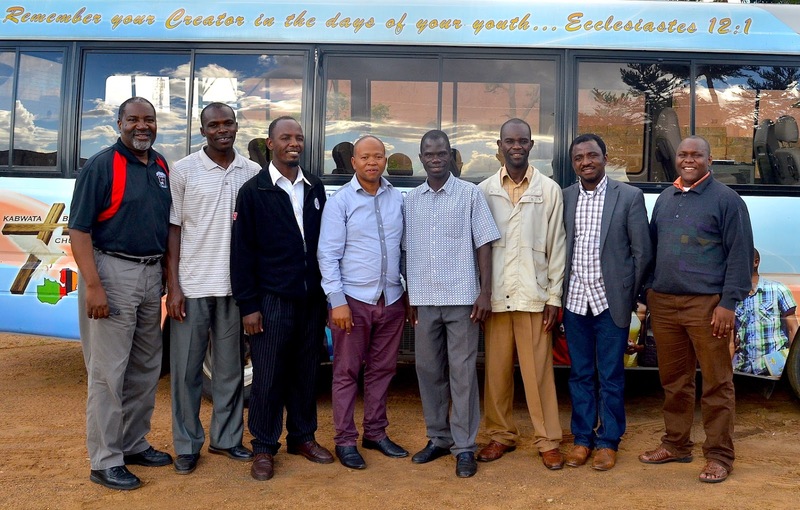 The meeting was led by Musopelo Chilongoshi who is one of the newest church members and has already found a place to serve in the church—in the work of missions. We again began the evening with presentations from our missionaries. 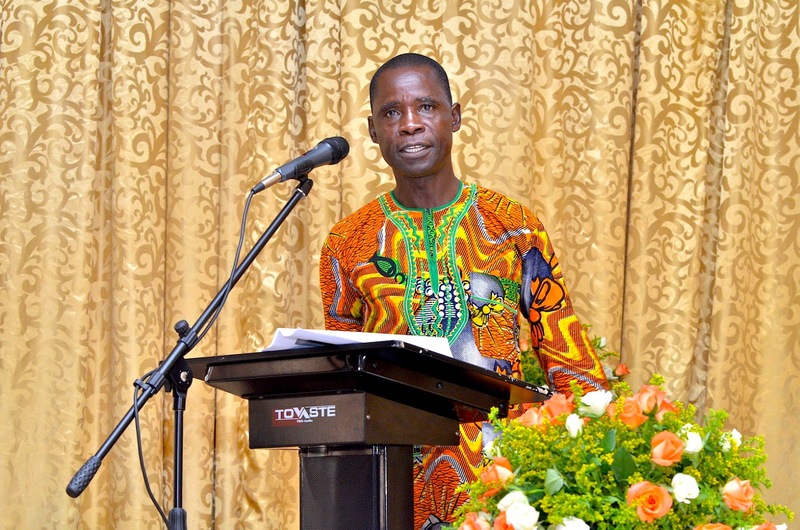 The first presentation was made by Pastor Lackson Mudenda, who was ordained in 2015 to plant a church in Sesheke, in the Western Province of Zambia. 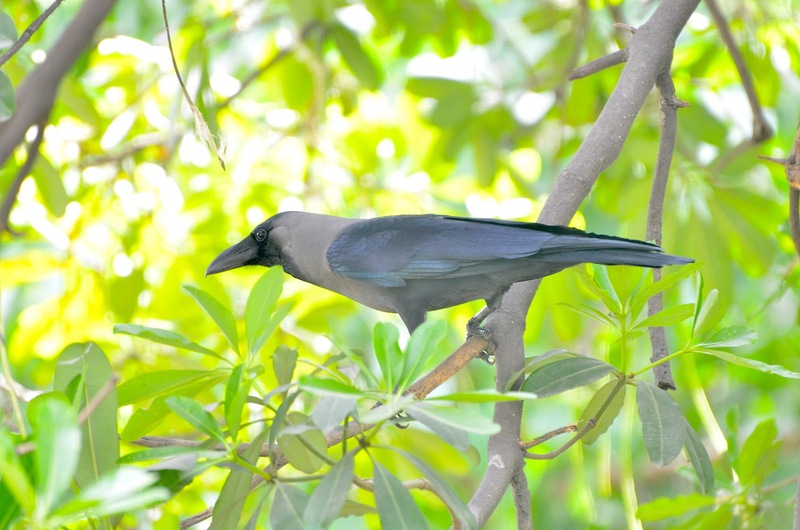 He spoke about the place of worship that the church had been offered, which was easy to find. They have also found a plot of land on which to start erecting their church building. 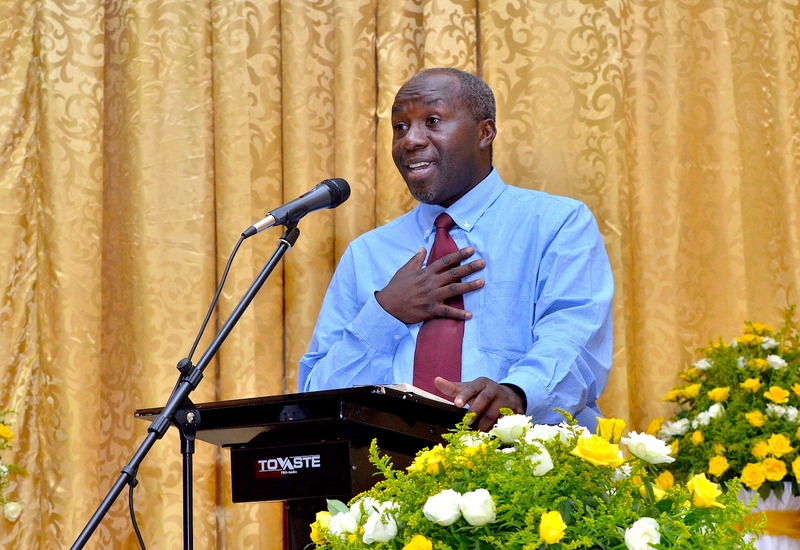 The second missions presentation was made by Pastor Curtis Chirwa, who was ordained as a missionary in 2008 after being a pastoral intern at KBC for a while. He was sent to plant a church in the Kabanana area north of Lusaka and this year (2016) the church has been constituted as an independent local church. His report was, therefore, a farewell. 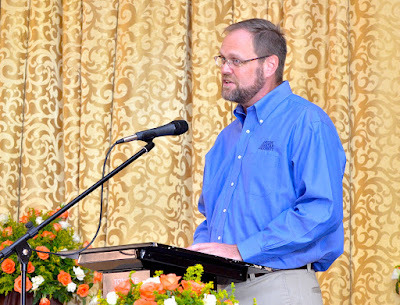 He spoke about the conversions they had seen in the last year, the baptismal service as a result of this, and the progress on their building project. The third missions presentation was made by Pastor Emmanuel Komba, who is scheduled to be ordained as a missionary this coming Sunday. 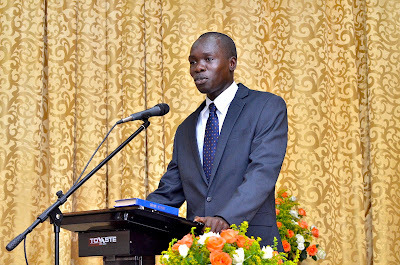 He spent January 2014 to September 2015 at KBC as a pastoral intern. 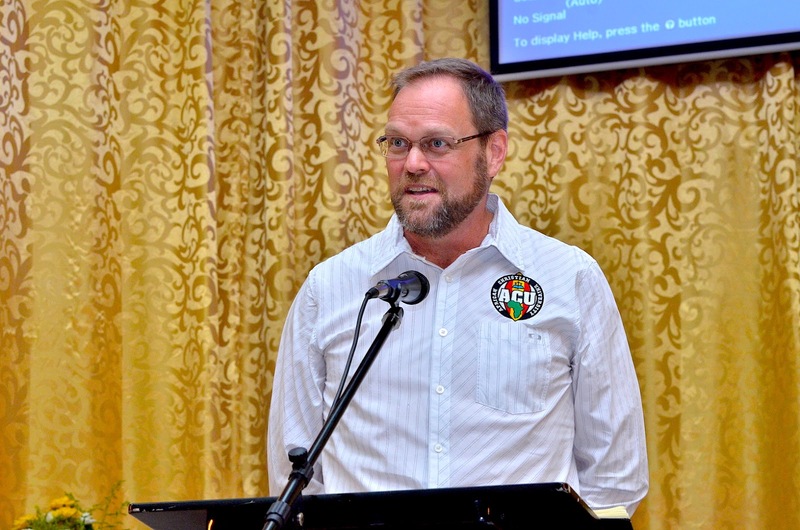 He will be sent to Freetown, Sierra Leone, to plant a Reformed Baptist church there. 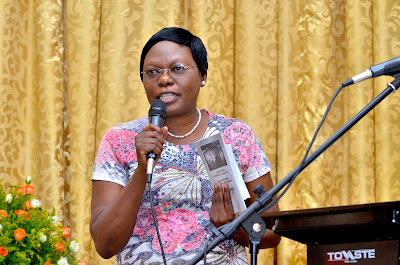 Logan Nyasulu initially called upon Mrs Daisy Nawa to speak about the missionaries’ wives conference that took place earlier in the week. I was thoroughly impressed with how she went through all the teaching that they received without using any notes! 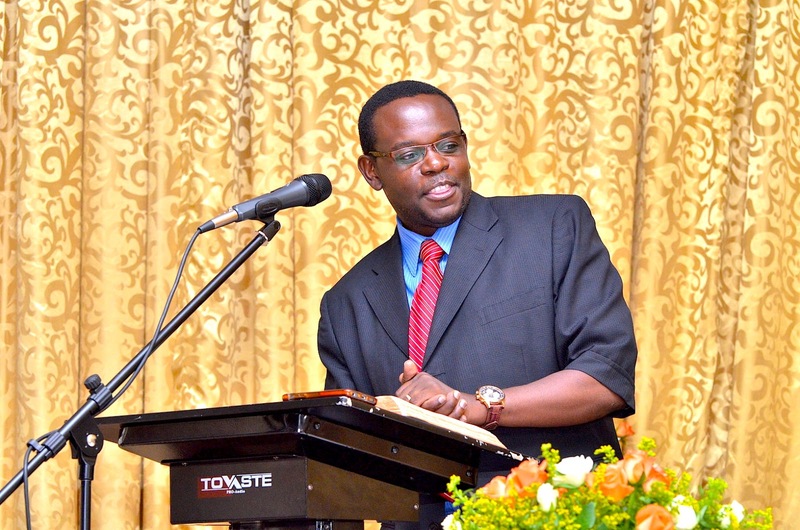 Logan Nyasulu read the third seven years of the history of KBC (1996 to 2002). This comprised the period when KBC moved into its current building and adopted a new constitution reflecting its new Reformed Baptist position. This was also the period when the Eagles Nest School started and KBC started doing outreach work at the Agricultural and Commercial Show. 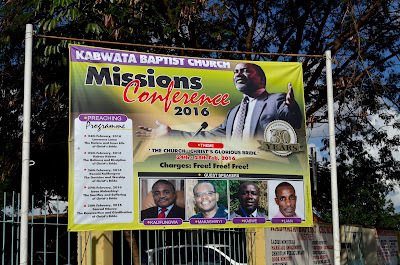 And finally it was the time when KBC entered into partnership with HeartCry Missionary Society who have become our main partners in missions. Logan Nyasulu went on to interview Dr Phanuel Mweemba who was a member in the days that were covered by the earlier narrative. 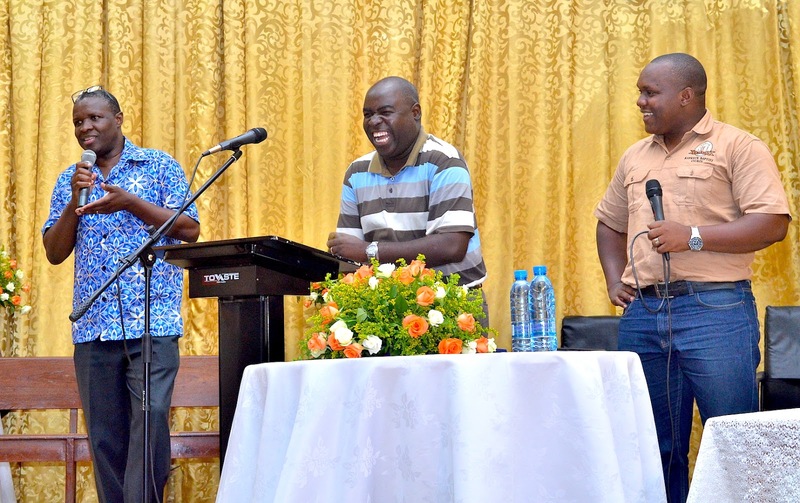 He talked about how he found himself at KBC and the impact that moving from the Kabwata Community Hall into the current premises made to him and the rest of the church members. Dr Mweemba also talked about how he benefitted from the missions work of KBC when he moved to Botswana to work there. He was a leader in the church that we were planting in Francistown. Dr Ken Turnbull, the African Christian University (ACU) vice chancellor, was available this evening to speak about the ACU. 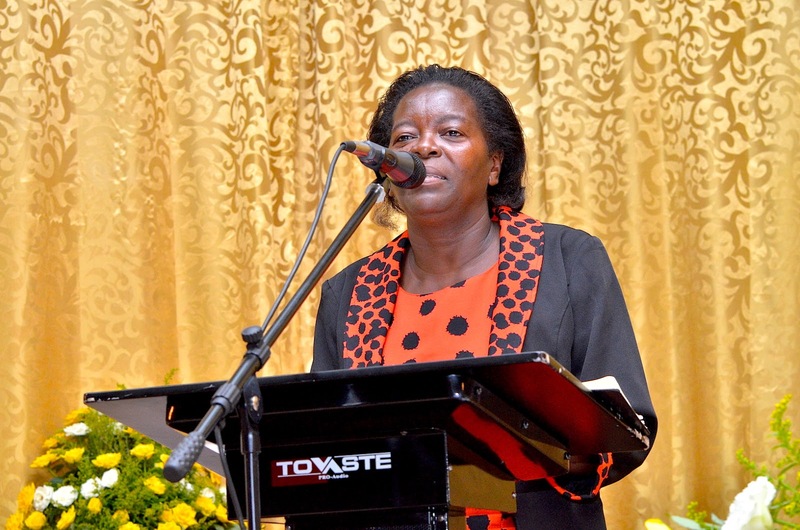 He thanked KBC for its role in the establishment of the ACU, together with its sister churches. 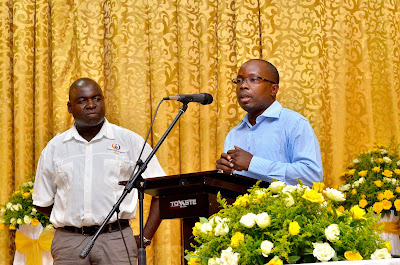 He also presented a slide show that had the 150 acres of land in Chisamba and the proposed entryway. Finally, he gave a few prayer requests, including that of getting the licence to begin operations. We are almost there! Before the preaching of God’s word, I welcomed all who were present and very briefly this time mentioned the K150,000 that we were working towards raising for the construction of the “majestic entrance” to our Chisamba campus of the ACU. (1) The church’s identity as the foundation of the truth. Pastor Kalifungwa asked the question, “What is this truth for which the church is a pillar and ground?” He proceeded to answer this by saying that this truth relates to God and his execution of his purposes through Christ and the duty of man in response to this. 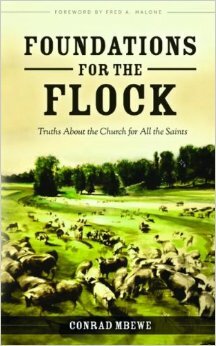 This has been formulated into confessions of faith across history. He later asked, “What does the Bible mean by the church being the pillar and foundation of the truth?” He said it meant that the church had the job of preserving the truth because it was constantly under attack. It needed to be passed on undiluted to the next generation while blessing the current one. (2) The church’s identity as a worshipping community. 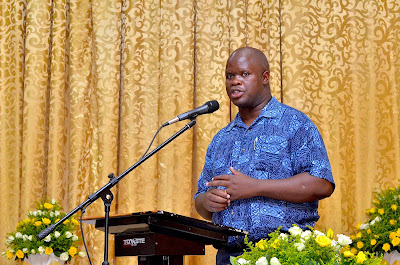 Pastor Kalifungwa said that when Paul wrote, “I write these things to you,” he was referring to the prescriptions he had spoken about with respect to the worship and order of the church. On the subject of worship the apostle Paul was saying that it must be regulated by the word of God. The worship must be an expression of the truth that the church preaches. This is the regulative principle of worship. This is referring to worship “in the house of God”. The fact that it is in God’s house suggests that God must have the final say on what we do in that worship. This is a worship that must be energised by and inspired by Christ. 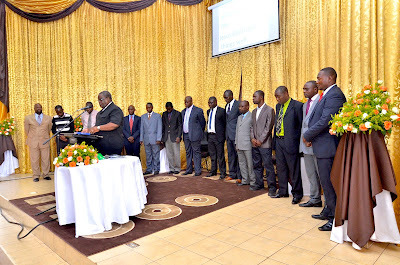 Pastor Kalifungwa ended with three exhortations. We must hold fast to the form of sound words that have been entrusted to us through the apostles. We must identify ourselves and worship with the church as a truly worshipping community. We must do deeds that are appropriate to this community. Our 30th anniversary celebrations and commemorative meetings, under the theme: “The church—Christ’s glorious bride,” entered the second day last night. 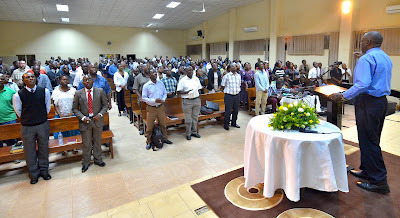 The church auditorium again was almost full. We also had some visitors from sister churches. The meeting was led by Graham Chingambu who was converted while in Sunday School at Kabwata Baptist Church (KBC) many years ago, and is now a civil engineer, a married man, and a family man. A lot can happen in thirty years! We again began the evening with presentations from our missionaries. 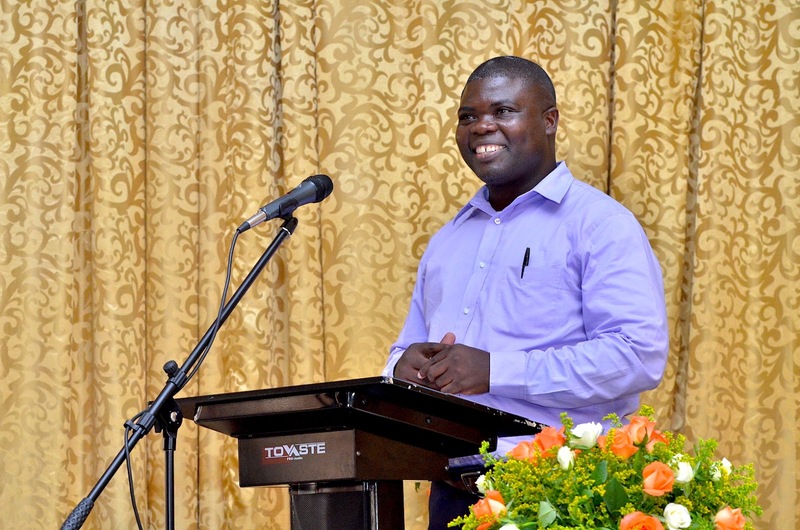 The first presentation was made by Pastor Poniso Kuyumbana, who was ordained in 2013 to plant a church in Senanga, in the Western Province of Zambia. He spoke about how the church attendance had grown in the last one year from about 55 to 90 people, including children. He also talked about 2 ladies who were recently baptised on profession of their faith and the moulding of blocks that they had started on their new church plot. The third missions presentation was made by Pastor Brian Mutale, who was ordained as a missionary in 2010 after spending a year at KBC as a pastoral intern. 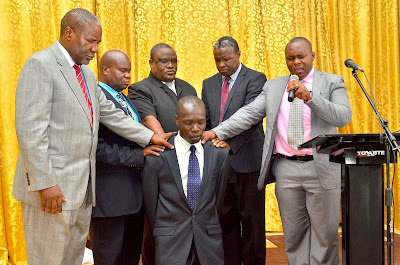 He was sent to Monze, in the Southern Province of Zambia, to plant a church there. He expressed gratitude to the church for its support and also spoke of the trip that “yours truly” made recently to Southern Province and how helpful it was to the church in Monze. The music ministry sang a song entitled, “Mwe Lesa Wandi” [“You, God, who are mine”]. It was a hot favourite when it was first composed and released as the lead song in a CD that our music ministry produced a few years ago. I had not heard it for a long time. 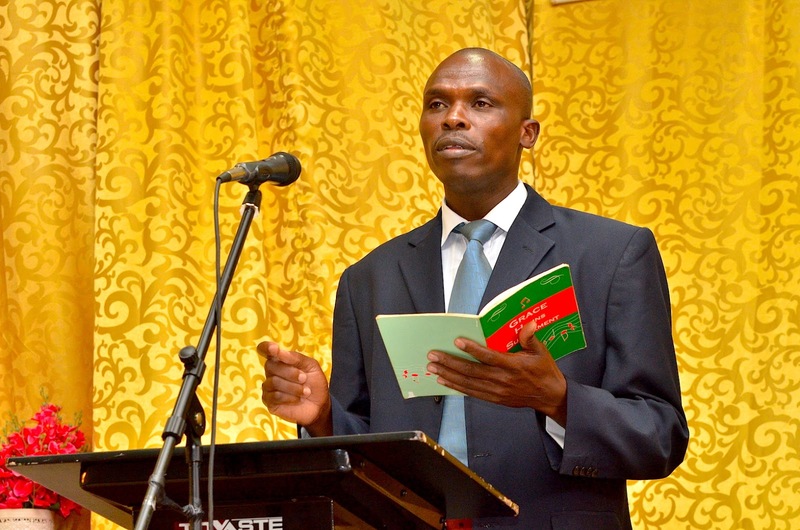 Logan Nyasulu came onto the podium and read the second seven years of the history of KBC (1989 to 1995). This comprised the period when the KBC compiled the Grace Supplement hymnbook, adopted The 1689 Baptist Confession of Faith, started hosting the Zambian Reformed Conferences, had its first fully fledged eldership and delinked it from its diaconate, turned its ministries into outreach organs, acquired its current plot of land and built its church pastors house, and took its first steps in the work of missions. Logan went on to interview Emmanuel Matafwali who was a member way back in those days that were covered by the earlier narrative. He talked about the impact of the Grace Supplement on their worship, how the church processed the adoption of The 1689 Baptist Confession of Faith. He also recalled those days when the KBC ministries were turned into outreach organs and the change that this brought into the life of the church. Before the preaching of God’s word, I took time to welcome all who were present. 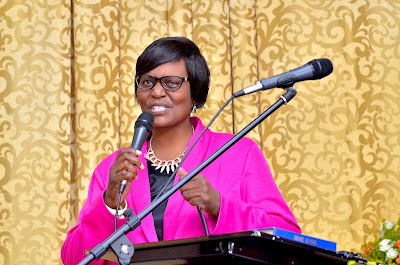 I also talked about our goal at these commemorative meetings and missions conference to raise K150,000 towards the construction of the “majestic entrance” to our Chisamba campus of the African Christian University (ACU). This will be a daily announcement. (1) Verse 15—The character of God. God is holy. The apostle Peter said, “…as he who called you is holy, you also be holy in all your conduct.” If we are to live holy lives we must never forget this. One reason why there is so little holiness in the church is that we have forgotten God and his essential holiness. He is holy! The Christian life is not about conforming to the world but transforming into the image of Christ, the Son of God. (2) Verse 17—The discipline of God. The apostle Peter says, “…[God] judges impartially according to each one’s deeds, conduct yourselves with fear throughout the time of your exile”. We must live a life that is conscious that the eye of the Father is on us throughout our lives here in earth. God engages in relational discipline and he does so impartially. (3) Verse 18-19—The price paid by God. The apostle Peter says, “…knowing that you were ransomed…with the precious blood of Christ”. It cost the life of the Son of God. This speaks something of the value that God has over the lives of his people. (4) Verse 20—The eternal plan of God. The apostle Peter says, “[Jesus] was foreknown before the foundation of the world but was made manifest in the last times….” God loved us and planned every aspect of our salvation even before Adam sinned against God. From eternity God committed himself to making us holy and he will achieve this. Pastor Kabwe ended by saying that when we do not live a holy life as God’s people we insult God and we undermine the gospel of the Lord Jesus Christ. Therefore, let us pursue and preserve holiness. That is why church discipline is essential to the wellbeing of the church. There should be no partiality to the exercise of corrective discipline. We need a holy church! 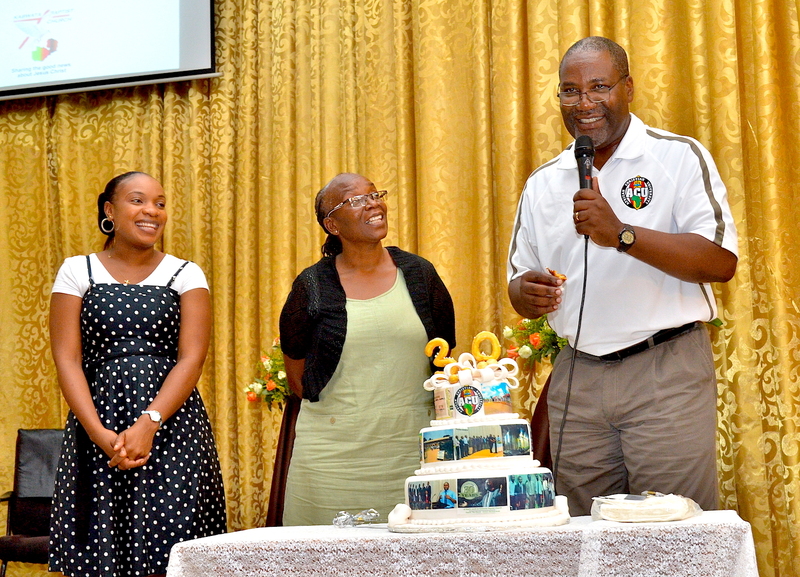 Our 30th anniversary celebrations and commemorative meetings began last night, under the theme: “The church—Christ’s glorious bride”. 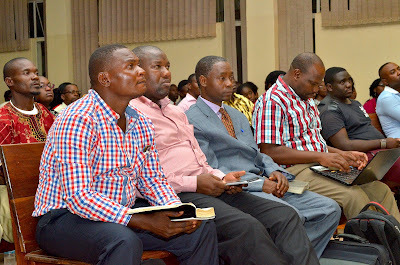 The church auditorium was almost full, which being the first day, was a great encouragement. We also had a few visitors from sister churches in Lusaka. The meeting was led by Michael Chelelwa who was a member of Kabwata Baptist Church (KBC) many years ago, but moved on when his employers transferred him out of town. Since we were combining our 30 anniversary meetings with our missions conference, we began the evening with presentations from our missionaries. The first presentation was made by Pastor Kennedy Kawambale, who was ordained in July 2015 to plant a church in the Chamba Valley area east of Lusaka. This is an area where there is a new housing development. He spoke of an attendance that is now around forty on Sundays. 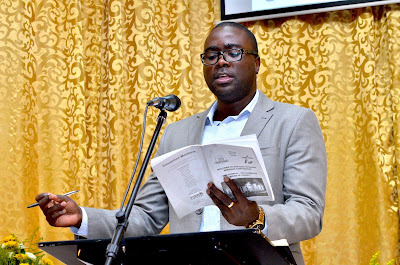 The second missions presentation was made by Pastor Oswald Sichula, who was ordained as a missionary in 2008 after being a pastoral intern at KBC for a while. 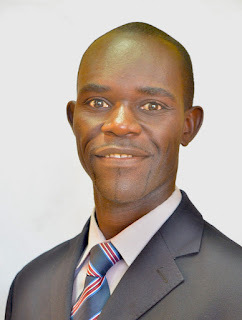 He was sent to plant a church in the St Bonaventure area south of Lusaka and this year (in 2016) the church is being constituted as an independent local church. His report was, therefore, a kind of farewell because next year this time he will not be our missionary. 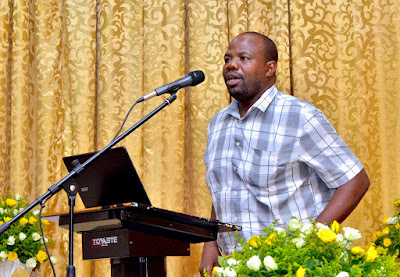 The third missions presentation was made by Pastor Monametsi Bahudi from Gaborone, Botswana, who was ordained as a missionary in 2012. 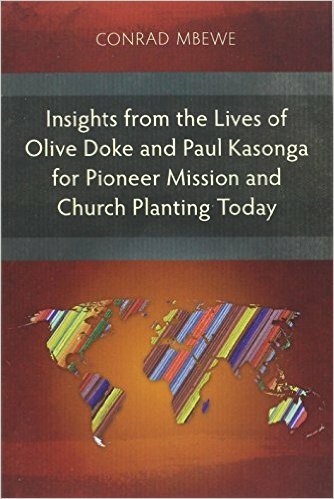 He took over the church planting work that was started in 2004 by missionary pastor Kapambwe Nsenduluka who is now in India. 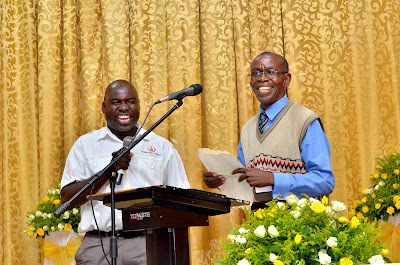 Pastor Bahudi was excited because after being the only Reformed Baptist pastor in Botswana, his church ordained Pastor Michael Legodi last year as their missionary to Francistown. 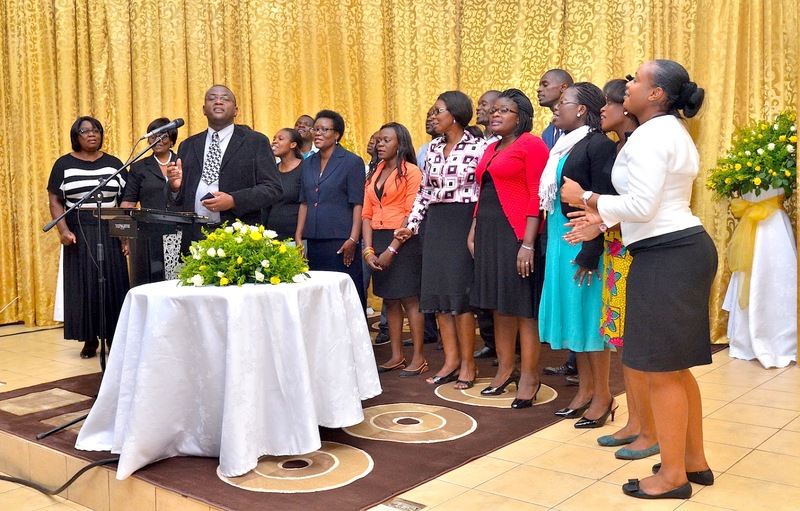 The music ministry sang a song entitled, “Through the flame”. Logan Nyasulu read the first seven years of the history of KBC (1981 to 1988). This comprised the first five years when Lusaka Baptist Church was planting KBC and ended soon after the church called me as its pastor in 1987 and the church elected its first fully-fledged eldership comprising Dr Duncan Mugala, David Toka, Wishard Yenga, and “yours truly”. Logan went on to interview George Samututa who is currently one of the three longest serving members of KBC. George came with copies of the minutes of a church members meeting in 1985 (31 years ago!) where members were being urged to pray for a pastor. Before the preaching of God’s word, I took time to welcome all who were present. 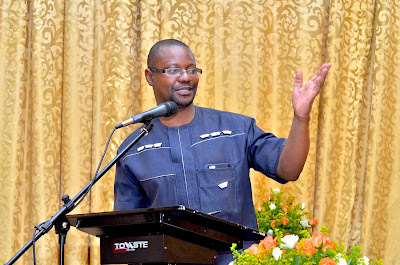 I also talked about our goal at these commemorative meetings and missions conference to raise K150,000 towards the construction of a “majestic entrance” to our Chisamba campus of the African Christian University ACU). This is our university. Its main campus is strategically located along the Great North Road as you head out of Lusaka. 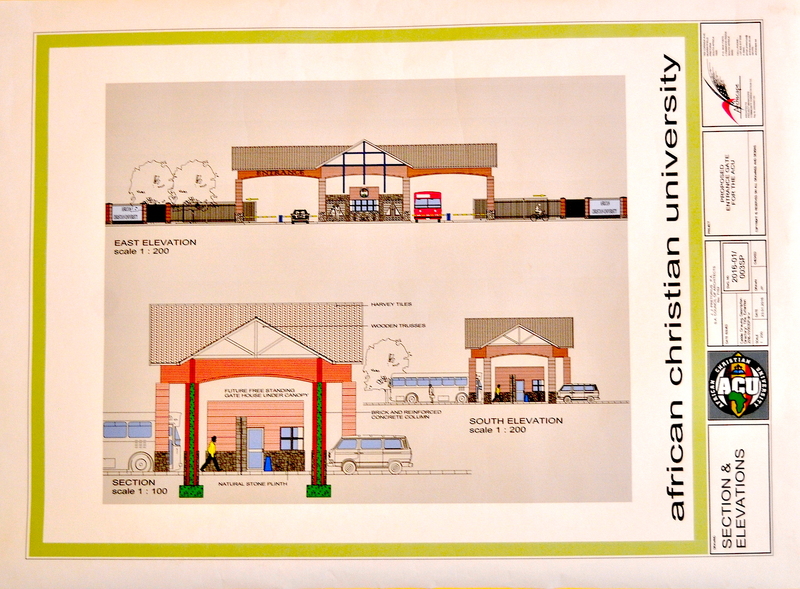 We want to construct an entrance there that will testify of what the ACU is all about. (1) What is the biblical truth that the apostle Paul emphatically affirms in this text? Pastor Lama said that the truth being affirmed was that the Corinthian believers were the body of Christ. This truth emphasises the close organic union between Christ and believers. Christians do not exist for themselves; they belong to Christ. That truth must be applied to today’s church and to KBC in particular. We are the body of Christ. (2) How does one become a member of Christ’s body? Pastor Lama said that you become a member of this body by repentance and faith in Christ. The Holy Spirit baptises you into Christ’s body. Putting it negatively, church membership or being born in a Christian family does not make you are member of Christ’s body. Then positively, everyone who has truly trusted in Christ, whether he is a Presbyterian or an Arminian or a Charismatic, is part of the body with us as Reformed Baptists. We must accept that. 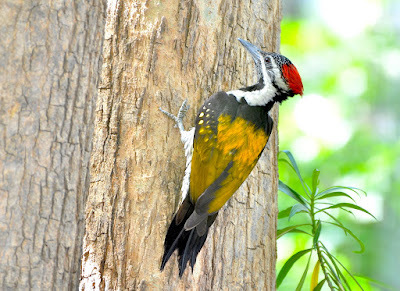 (3) How do we relate to the head of the body and to its members? Pastor Lama said that we are obligated to enter into relations with all those who are members of this body because we are one with them. The apostle Paul used this to re-establish proper relations of believers with one another despite their differences. We must have mutual dependence, mutual affection, mutual respect and appreciation, and intimate fellowship. With respect to Christ, our role is that of submission. We are his. And make they people hear!